Heard Here is where I explore two of my biggest passions: music and comedy. During Heard Here, I will bring you exclusive performances and interviews from my favorite musicians and comedians. Music and laughter are two things we all find joy in, no matter our walk of life. In the spirit of that connection, I invite you to join me on this adventure and to share the stories that we’ve heard here. Heard Here is a production of All The Lads Media. 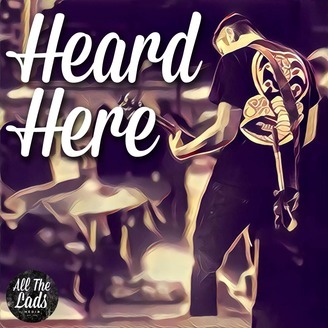 Welcome to the very first installment of the “Heard Here” podcast. For me, there’s no better artist to kick-off the podcast with than one of my favorites, Trapper Schoepp. Trapper is a singer-songwriter from Wisconsin with a knack for great storytelling. He has this gift to take his stories, some fact, some fiction, and pair them with the perfect instrumentals in order to create a great song. This past April, Trapper released his newest studio album, entitled “Rangers and Valentines” and it has my vote for album of the year. 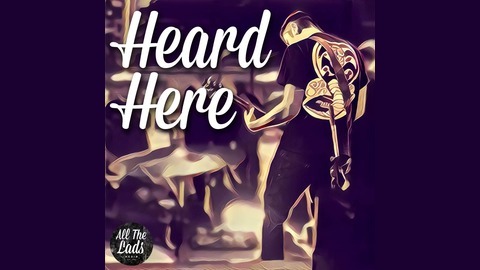 On this episode of “Heard Here,” I chat with Trapper about what got him into music, how he goes about crafting his songs, and how he got Tom from Office Space to star in his latest music video.